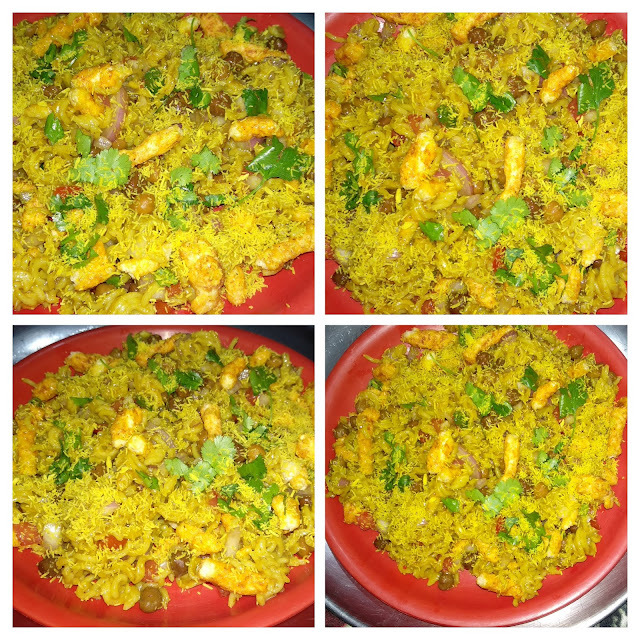 This is a very healthy and yummy dish, can be prepared quickly. 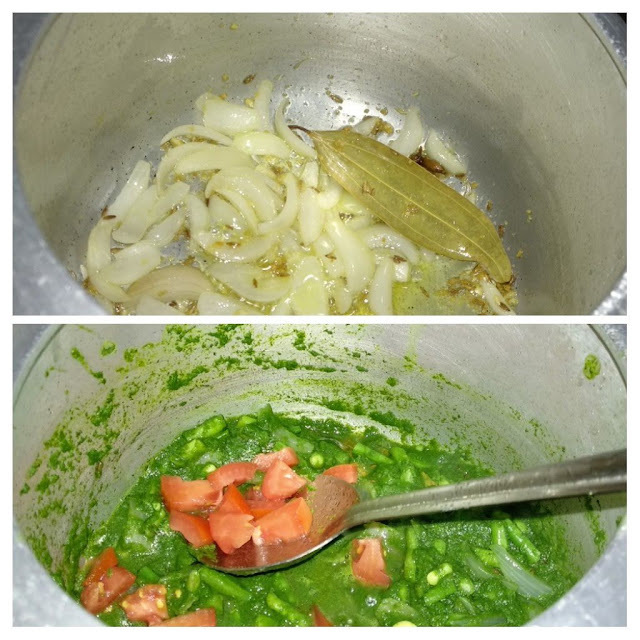 I have used palak and chaula fali, you can also add french beans to it. Prepared it in ghee to give it a good aroma and taste. You can use refined oil, if don't like ghee. 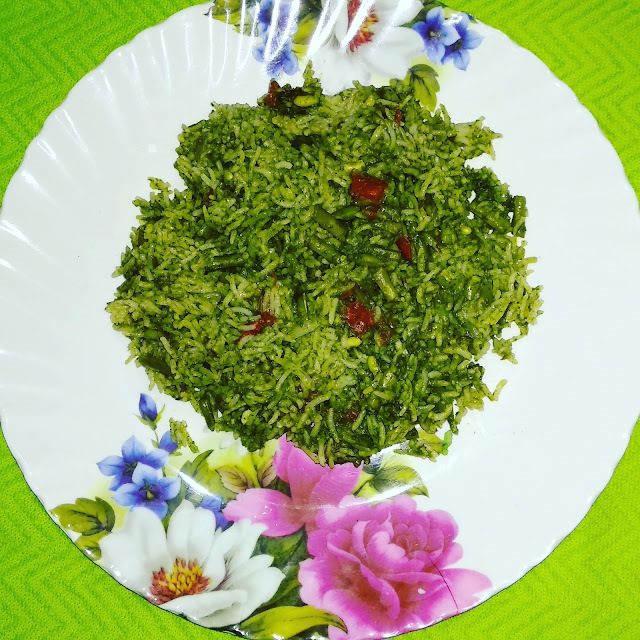 A very tasty dish to serve to non- palak eaters. So let us start. Recipe : Clean the palak and chop it and then blend it to a smooth paste along with 1 green chili. Make a paste of garlic and ginger in a blender. Slice the onions, chop the tomato. Heat ghee in a pressure cooker. Add cumin seeds, when they crackle, add bay leaf, cloves, curry leaves, asafoetida and sliced onions. Saute till the onions turn translucent, add ginger garlic paste, saute. Add the palak puree and cook for 3-4 minutes on medium flame stirring occasionally. Add chaula fali and tomatoes, cook for 2 minutes. Add washed basmati rice and salt to taste, dry mint powder and mix well. Add 1 cup water and close the lid, pressure cook for 1 whistle on medium flame. Remove the whistle and let the vapour evaporate. Open the lid after 5 minutes. 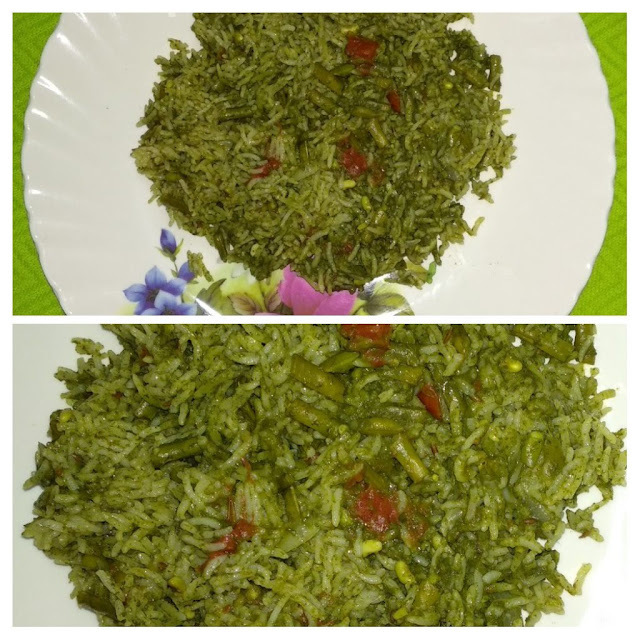 Tasty palak pulao is ready. Serve hot. Looks yummy but where can I buy Chola fali ? What is that ? The only chola fali I know being a patel is a deep fried snack which we make it over Diwali . But I would love to try this rice . Is it a black eyed beans (Choda ) ? It is green beans vegetable we cook with potato. Look at the picture of pressure cooker, you will recognize it.